The grass sparkled in the beam from my headlamp this morning and crunched underfoot—our long-overdue first frost. After such a hot summer, we should have expected a warm autumn, but I was beginning to wonder if it would ever frost; it usually occurs near the end of April. Of course, even without a frost it’s been too cool for the summer crops outside the greenhouse; they gave up weeks ago. 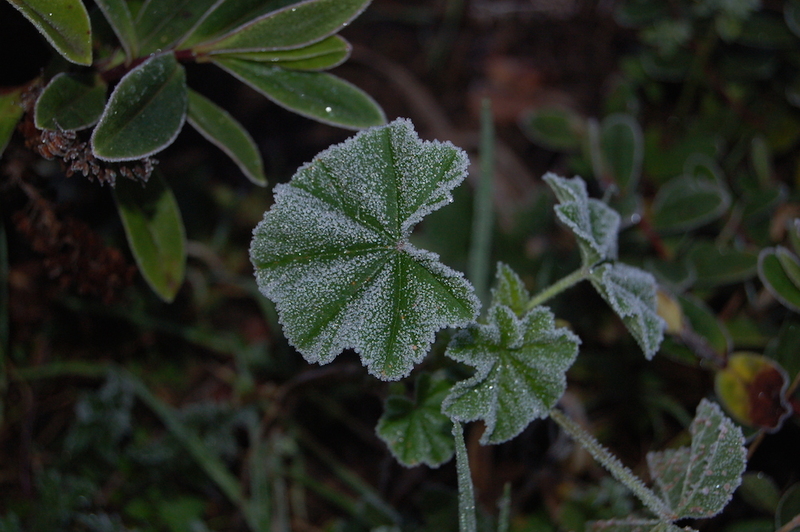 So we’ve been eating as though it has already frosted, but there’s something decisive about the first frost. First frost gives me permission to haul out the sewing machine after a summer’s interruption to crafts. It encourages me to pull out a good book. It gives me leave to contemplate steaming pots of soup and chunky vegetable stews for dinner. It is a milestone in the year. A time for taking stock, reflecting on the summer’s crops, and enjoying a brief break from most garden chores. Though the garden looks wasted and sad after the first frost, it is a time to savour, like every other event and milestone in the garden year.